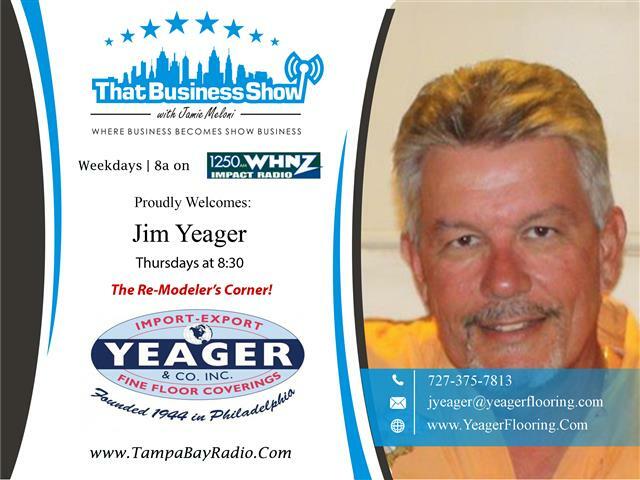 That Business Show, weekdays at 8am on 1250WHNZ and always informative and entertaining. Catch the show On Demand on iTunes or http://www.tampabayradio.com and all shows are streamed live in studio, click on the live stream button on the home page of http://www.tampabayradio.com to see us in studio. Aakash Patel opened the show today and is the President/Founder of Elevate, Inc., a public relations company he founded in 2012. 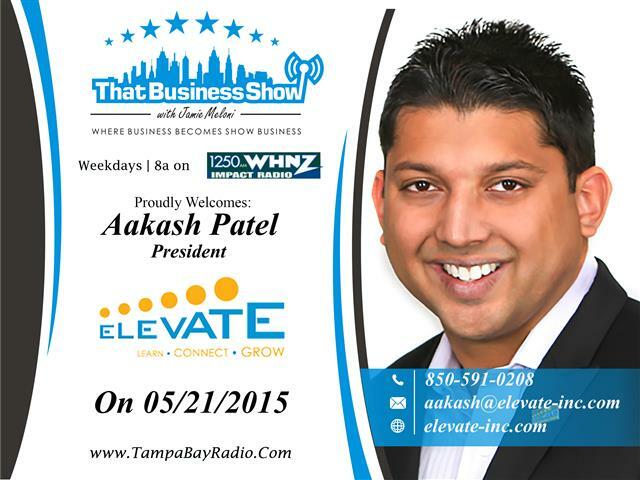 Aakash is considered to be one of the most connected people in Tampa and he and Elevate work with business owners to help them Learn, Connect and Grow. Through his extensive network of contacts, Aakash is able to help get your company in front of people that help grow your business. Aakash also shared with us why #TampaHasSwagger, and spoke of the importance of hashtag campaigns such as #TampaHasSwagger and how they can help business owners grow their online presence. Aakash is an active member of the Greater Tampa Chamber of Commerce, Vistage Tampa Downtown Partnership, Seminole Torchbearers and Washington Leadership Program as well as involved in many other organizations. He stays very connected to the University of Tampa and is a graduate of Florida State University. Aakash is available to sit down and discuss ways he can help your business Learn, Connect and Grow and can be reached at 850-591-0208 or email at aakash@elevate-inc.com and learn more at http://www.elevate-inc.com! 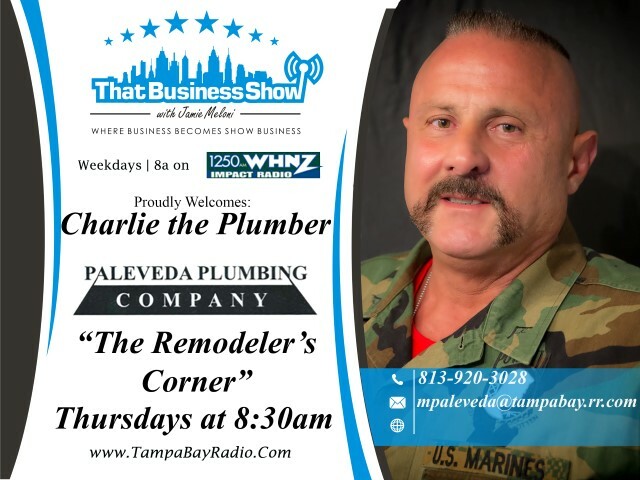 On the 2nd half of the show, Charlie the Plumber took center stage as part of the Remodeler’s Corner, a weekly feature brought to us by Yeager and Company, a third generation flooring and remodeling company based in Odessa, Florida. Learn more about them at http://www.yeagerflooring.com. Charlie. Aakash and I discussed how to brand Charlie online and gave him the Hashtag campaign of #AmericanPlumber with the hope that in a year’s time Charlie will have a brand that will resonate across Tampa and be involved in some of the Military Events around the community as he is a Marine and very committed to the American way of life. Charlie also touches on some stories from his days as a professional wrestler and does not offend too many people on this segment. Be sure to tweet and tag #AmericanPlumber when following the show and also use #ThatBusinessShow to help grow and promote the show!